We also require renters to carry renter’s insurance with a minimum of $300,000 in personal liability coverage and $10,000 in personal property coverage. We must be listed as a certificate holder of an additionally insured party. At Cambria at Cornerstone, we designed our one, two, and three bedroom Virginia Beach, VA, apartments to fit you and your lifestyle. With ten different floor plans and pet-friendly, pet-free, or smoke-free buildings to choose from, you’re certain to find the space that suits your needs. Whether you’re looking for a spacious one bedroom, one bathroom apartment starting at 874 sq. ft. of space or are ready to expand into a two bedroom, two bathroom apartment with 1,030 sq. ft., we have the right home for you. You can even optimize your home with a three bedroom, two bathroom apartment starting at 1,254 sq. 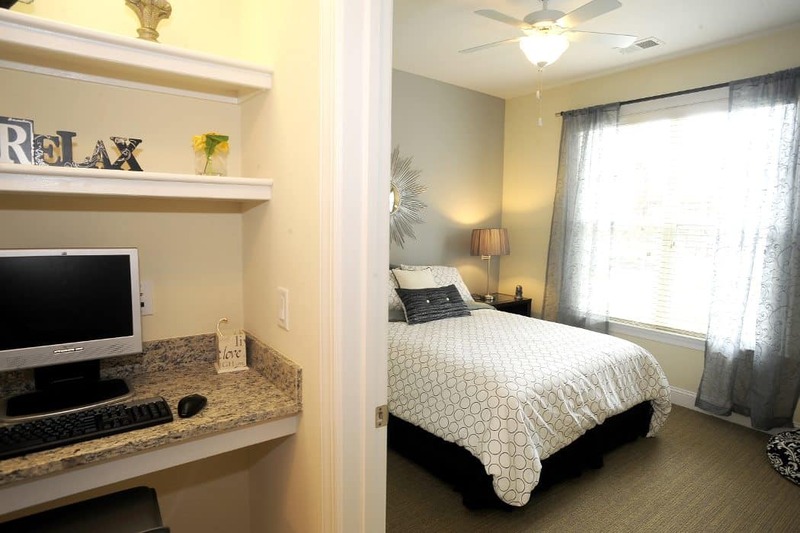 ft.
All our homes feature modern conveniences like central air conditioning and heat, an in-home washer and dryer, and a kitchen fully equipped with deluxe appliances like a dishwasher, disposal, and ice maker. You’ll also enjoy special touches, like hardwood-style floors, built-in bookshelves and computer niches, and plenty of storage with a linen closet, pantry, and even a coat closet in the foyer. We know that home isn’t just what’s inside your apartment. That’s why we designed Cambria at Cornerstone with plenty of outdoor spaces to create a community that’s comfortable and welcoming and makes it easy to relax outside. Enjoy access to our two resort-style pools, a splash pad for kids of all ages, and a grilling area for entertaining or just dining al fresco. 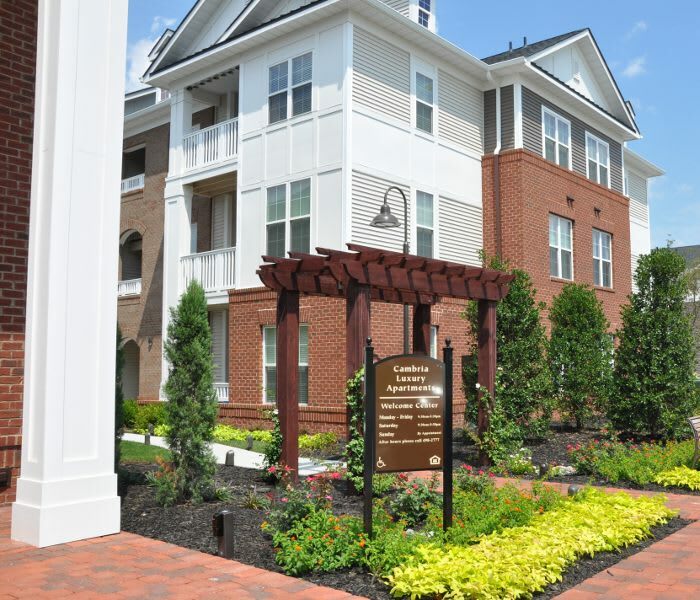 We even have a bocce ball court and a community garden for those who love to play outside. With two state of the art fitness centers, a clubhouse with pool table and coffee bar, and a business center that’s there for you when you need it, Cambria at Cornerstone truly offers an elevated lifestyle, with plenty to enjoy beyond your front door. Find the perfect floor plan for your needs. Call us to schedule your personal tour.